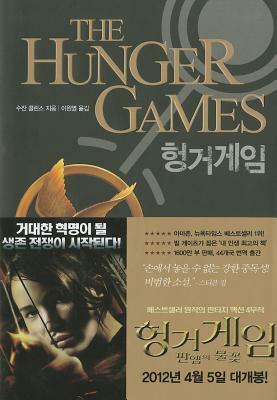 Korean edition of THE HUNGER GAMES: Book 1 by Suzanne Collins. This futuristic tale of survival for teenagers will thrill you, put fear in you, but it will offer contemplation on human nature, love, and the right to life. Translated by Lee Won Yeol. In Korean. Distributed by Tsai Fong Books, Inc.